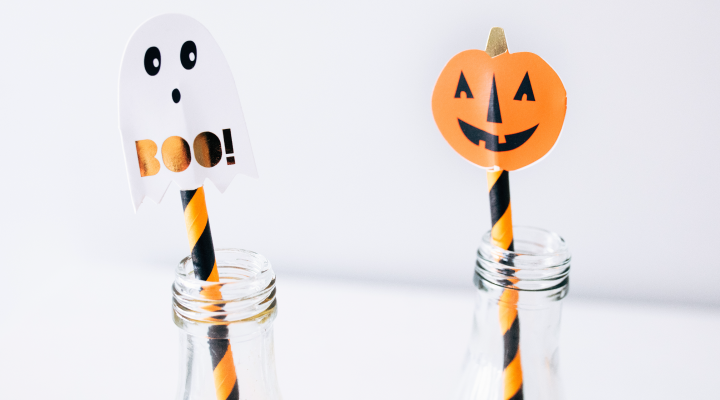 Planning a Halloween party without inviting extra sugar doesn’t have to be scary. Here are our favorite recipes for Halloween mocktails to keep your party rockin’ without that Halloween hangover. One is even low on sugar and full of nutrients! Blueberries are rich in antioxidants and can help maintain brain function and improve memory. Just remember to brush afterward to prevent any vampire blood, err, blueberry stains on your teeth! 1. Mash blueberries with ginger, sweetener, and lemon juice. Allow mixture to sit and saturate for five minutes. 2. Press mixture through mesh sieve to filter out skin and seeds. 3. Divide the drink into flute glasses. 4. Top with chilled blueberry juice, then sparkling apple juice. This fast and fun mix is perfect for brewing with the Mad Scientists at your Halloween party. 1. Fill novelty syringes with cranberry juice. 2. Pour soda over ice in chilled glasses. 3. Add cranberry juice for a fun taste and spooky look. With the holiday season now at it’s official start, check out our “Eat This, Not That” guide to help you stick to healthy habits all season long.